Press releases are the perfect tool to keep the media and overall industry informed about what is going on with your company. They are also meant to catch the attention of journalists who may want to further cover your topic. However, to pique the interest of a journalist first requires producing a press release of quality. Follow the four tips below to help you write a more successful press release today. 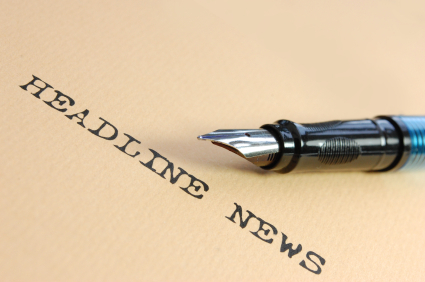 Create an attention-grabbing headline: The headline of your press release is the first thing the recipient will see and many times is the deciding factor over whether the release is even opened or not. The headline of your press release should be just as intriguing as it is accurate. Get to the point: A good press release is usually one page in length, forcing you to make your main points quickly. A good rule of thumb is to assume most people won’t read past the first paragraph. Make your main points in the first few sentences and use the subsequent paragraphs to provide support for your points. Use quotes: Use quotes from significant people within the company whenever possible. They are a valuable source of information that adds a personal quality to press releases. They also promote the name of the person quoted to the press, leading to further exposure. Include contact information: One important part of press releases that is often overlooked is the contact information. Remember to include at least your email address and phone number (usually at the top of the release) so journalists can contact you for more information if they want to further pursue your topic. Still having trouble writing successful press releases? Harmon Group is here to help. Our team of skillful copywriters can develop the right press releases for you today. Contact us to get started.